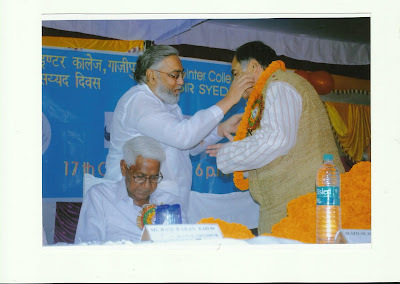 M.A.H.Inter College and Aligarh Old Boys Association,Ghazipur organized a Seminar on the great architect of Muslim education “Sir Syed Ahmed Khan- Shaksiyat aur Khidmaat” on 17 october,2012 in the ground of M.A.H.Inter College. Mohd.Adib Ahmad sb Member of Parliament [ Rajya Sabha ] as a chief Guest inaugurated the function while Haji Waris Hasan Khan , Manager of school was the President of the function. 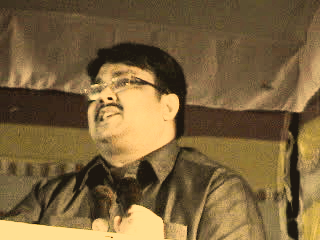 M.A.H.Inter College played a perfect host to the function. M.A.H.Inter college Principal , Khalid Amir welcomed the guests and said that the contribution of Sir Syed was indispensable for the Muslim community’s educational map in undivided India. He struggled hard at a time when the country was passing through a dark and era of depression. 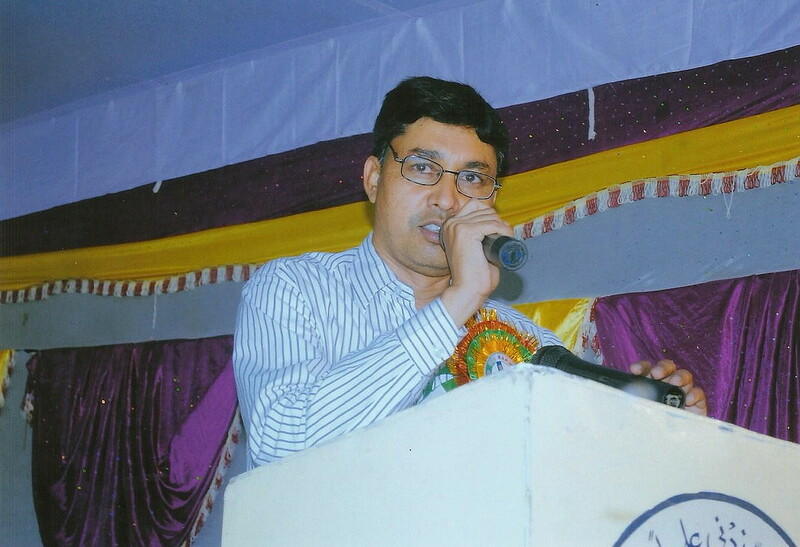 Renowned scholar Obaidur rahman makki impressed the gathering with his speech full of optimistic and progressive thoughts. (ii) to search for and publish rare and valuable oriental works (no religious work will come under the notice of the Society); (iii) to publish, when the Society thinks it desirable, any [periodical] which may be calculated to improve the native mind; (iv) to have delivered in their meetings lectures on scientific or other useful subjects, illustrated when possible by scientific instruments. 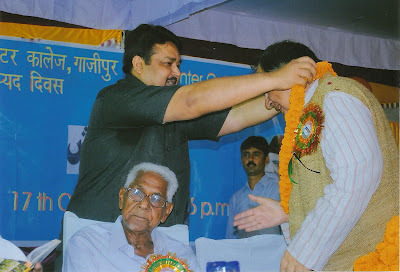 Makki further said that Ghazipur is remembered as a great social and educational reform movements started by Sir Syed Ahmad Khan for Muslims to improve their socio-economic condition and bringing in educational reforms. But unfortunately this great movement, over the years, has lost its momentum and steam mainly due to absence of any other charismatic personality like Sir Syed Ahmed Khan to take it forward. 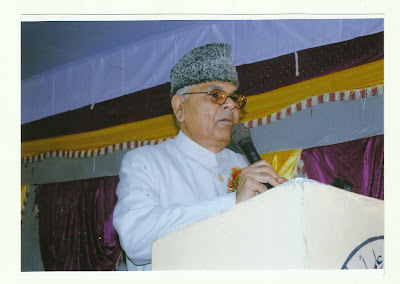 Though few individual efforts had been put by some concerned alumnus of AMU and other notable figures but their efforts didn’t yield the desired results. Aluminies of A.M.U. 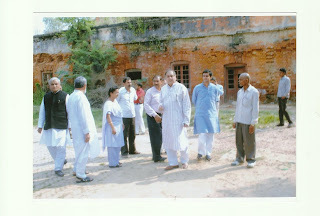 have realized that it is the need of hour to revive the Aligarh Movement as the community is still lacking far behind in education and their socio-economic condition is getting worse, now such a step requires sincere efforts from individuals and bodies those are concerned and are honestly looking forward to address this issue,A.M.U.Old boys Ghazipur of thus started bringing such individuals and bodies on a common platform from where sincere and serious efforts can be made to revive the theme of Aligarh Movement and benefit the community at large. 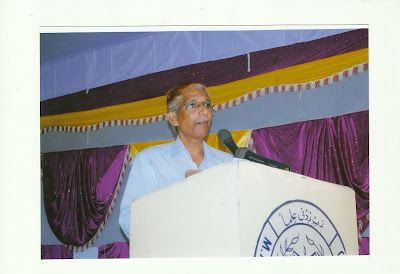 Addressing the audience Z.K.Faizan , Ex.President of A.M.U.Student Union ,regarded Sir Syed as a person to have the blend of Raja Ram Mohan Roy and Tipu Sultan. He narrated the virtues, teachings and persona of Sir Syed and quoted from his sayings -- the quotes which talked of nation, Muslims, secularism and importance of education. 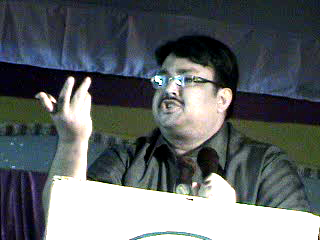 He also quoted from the writings of renowned Scholar Hali in the context of Muslims’ present plight. At this function Dr.Shababuddin ,Head ,Deptt.of Urdu ,Shibli National College Azamgarh said the key to success and achievement lies in discipline which should go with education and practice of day to day life. The discipline and rules of army and police which were imbibed by the British were actually what the Prophet Muhammed taught us 1400 years ago. While pointing out the shortcomings and ills of the society,Shababuddin sb said that we the Muslims still have the highest dropout rate of our children from the schools. He said it was painful to see that our schools are not up till 12th class and could not offer Science stream in English in many cases including the Republic School, which he said was a matter of shame for the society. 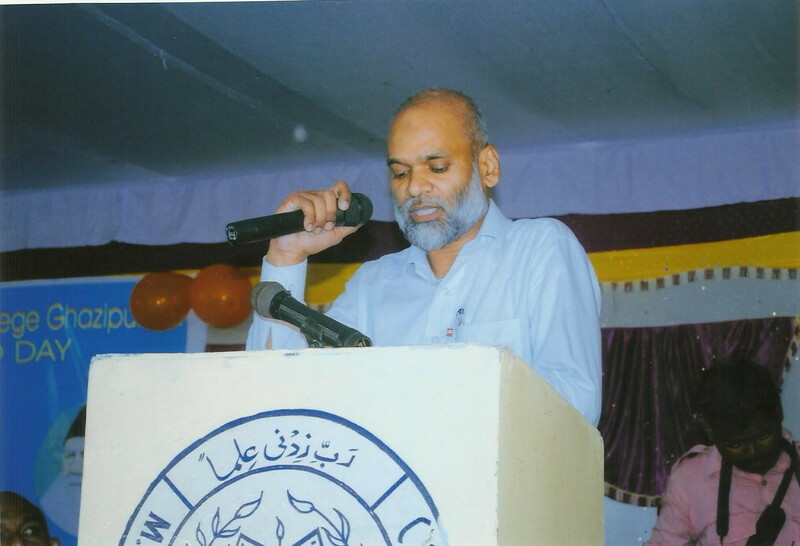 Dr.Zafar Aslam referring to Sir Syed's efforts to give a new outlook and understanding in place of traditional and conservative ideas, she exhorted the University community to adopt a rational and scientific thinking that would enable them to bring changes in the society in accordance with the contemporary challenges. 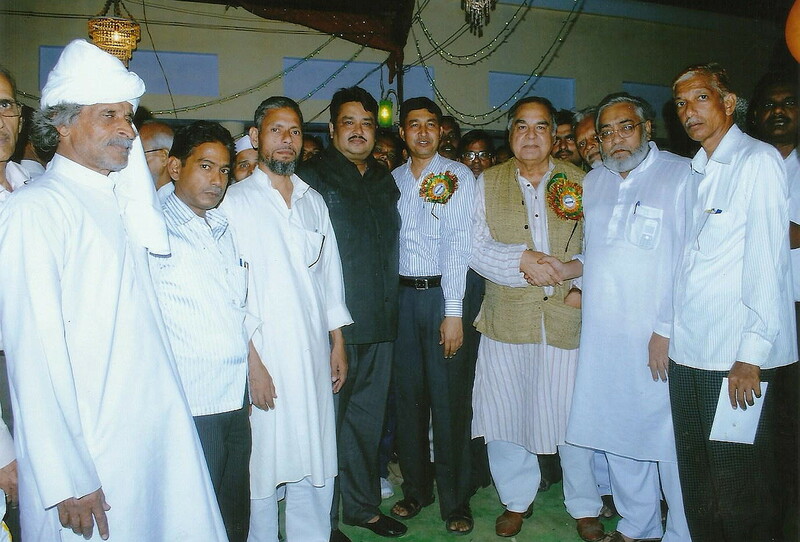 Paying rich tributes to the great social reformer, educationist and statesman, Sir Syed Ahmad Khan, Dr.Mohd.Aslam,Lecturer Dr.Mokhtar Ansari College,Yusufpur Muhammadabad said that Sir Syed was not only a Muslim benefactor but he was a boon for the whole country and his services in spreading modern education are unforgettable and unparallel.He said that Sir Syed showed a new path of educational and intellectual development to the nation. He wanted the education that would provide enlightenment and not merely a degree,he added. Rajya sabha Member Jnb Mohd.Adeeb sb while chairing the function, praised the personality and stature of Sir Syed with the famous Urdu couplet ‘badi mushkil se hota hai chaman me deeda var paida’. He said promised to change the scene of the Muslim community’s educational plight if he was rightly supported by the community to implement the schemes. He appealed to the Muslim intelligentsia and thinkers to come forward and take up the challenge with him to build universities and educational institutes if the hurdles he was facing are addressed by the community and cleared. He said that the first two decades after 1857 witnessed Sayyid Ahmad Khan’s increasing preoccupation with the prevailing conditions of Muslims in India. 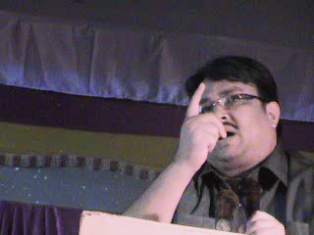 He perceived Muslims as backward and in need of education. This period also saw an increasing degree of public involvement in educational and social arenas. He stressed the need to study and implement the virtues and practices of Sir Syed whose personality and teachings were different from the crowd, who also stood to lot of criticism from his contemporaries and yet stuck to his mission. Sir Syed’s vision about various sections of life and his personality has impressed and influenced our lives. Adeeb sb further said that he advised them to concentrate on education; he was against the involvement of his community into politics. 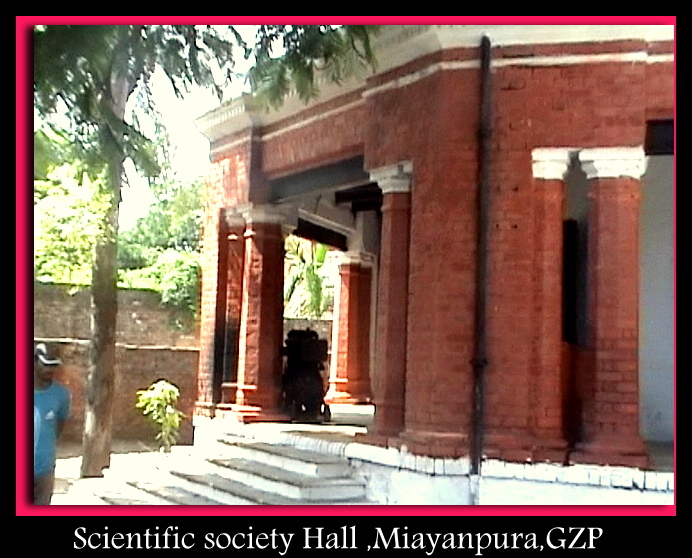 He was great advocate of Hindu-Muslim unity and it is worth remembering that the first graduate of Aligarh was a Hindu.Sir Syed challenged the orthodox Muslim clergy of his time and propagated a liberal and rational ideology based on modern concepts in the light of Holy Quran and Hadees (the traditions of Prophet Mohd P.B.U.H). His views were rejected by Muslim clergy and he was condemned as KAFIR by them. As he was personally affected by the Indian Mutiny he wrote the famous historical book - ‘Asbab-e-Baghawate- Hind’ (The Causes of Indian Mutiny) in which he audaciously criticized the British rulers and their policies. He did boldly and explicitly blamed the British for the causes of revolt. Ziaul Islam ,Cordinator,All India Minority Educational Institutions,Govt.Of India appealed that we could learn so much from Sir Syed’s struggle, who started the Aligarh movement for higher and modern education at a time when there was no weightage given to formal worldly education and only religious study was considered enough. He described that he had witnessed with his own eyes the devastation, death and destruction - the untrammeled fire of vengeance and hate; and he had seen his own community being trampled underfoot by the White rulers. He had realized that animosity between British and Muslims, in the aftermath of the Indian Mutiny 1857, had not only marginalized the Indian Muslims but pushed them into an unenviable abyss of poverty, ignorance and shame. They had been relegated to the backwardness of many many centuries. He also felt that the socio-economic future of Indian Muslims had been put into jeopardy by their aversion to modern science and technology. Ameeq Jamei,Genaral Secretary ,Youth CPI,said that Sir Syed was a role model for all of us for promoting the idea of modern education. He further said that Sir Syed was an individual with exceptional qualities of leadership and he was a modern priest, a great tribune of Muslim society who, with a mighty grasp, shook it free from the shackles of sloth; ignorance and vermin that fed upon it. At last the poets of Ghazipur including Rais Shaheedi,Qadr Parvi,Badsha Rahi and Hunter Ghazipuri also tributed in poetry on the different shades of Sir Sayed .A chorus song on Sir Sayed,written By Aziz Ghazipuri,was presented by the students of M.A.H.Inter College. Awesome collection of Dr. Muhammad Iqbal Sahab Poetry. Famous Shayari and Quotes in Urdu and English of Dr. Iqbal Sahab. Love the way program was conducted. Excellent commentary of program had been displayed above. And at last Tarana is the things that rejuvenate muslims each time it being played.